Video message by Neelie Kroes, Vice President of the European Commission, in charge of the Digital Agenda. Welcome to EDF2013 by Minister Alan Shatter, Minister for Justice, Equality and Defence of Ireland. See detail information on the panel! Title of Talk: The next level for verticals! Title of talk: Big Data - Big Opportunities - Big Risks? Title of talk: Cross-archival content discovery in the digital landscape; an RTÉ , Digital Repository Ireland and the DERI Research Institute collaboration. Title of Talk: Who remembers EDP? Title of Talk: Does the 80/20 rule also apply to Big Data? Title of Talk: Algorithm any good? The EDF2013 rooms plan is available here. The European Data Forum will take place in Level 5 at the Croke Park Conference Center. 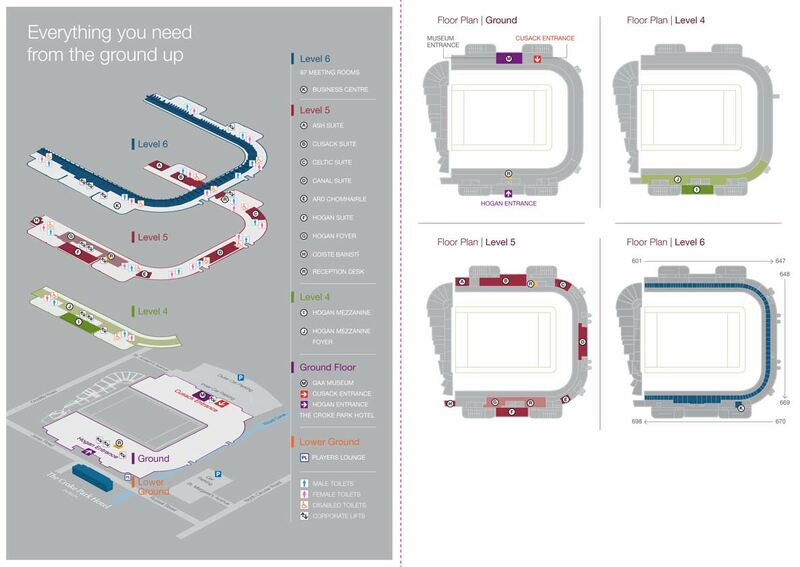 The EDF2013 main space is the Hogan Suite (F) on Level 5 - the EDF2013 side-track room is Ard-Chomhairle (E). Registration is in area (R). The long area between (R) and (G) is where teas and coffees will be served. This area (incl. area G) is the EDF2013 exibition area. Lunch will be served in the Canal Bar (D). The EDF2013 conference dinner is located on Level 4 in the Hogan Mezzanie (I). There is a free car-park beside the stadium for up to 200 cars.